Are We Born Into Sin? Sin entered all humanity through Adam’s sin and we can’t run away from it but the Torah and mitzvot are to help us rectify it. Had I read King David’s quote as it stands I would be inclined to agree with you that, that was what he was saying, and I would then be troubled because it contradicts a basic Jewish premise – which is, as I stated previously, and which you quoted, “man enters this world with a soul that is pure.” So you did me a favour and quoted the Ibn Ezra, who had the same problem and explains in practical terms that there is no contradiction. As he puts it, King David is not saying that he was born with sin, rather with an impulse to sin, otherwise known as the Yetzer Hora or the “evil inclination.” You don’t have to go to the book of Psalms to find reference to that – it is stated already in the very book of Genesis: “For the inclination of man’s heart towards evil is already from youth.” It doesn’t say that we are evil or are born in sin rather, as Ibn Ezra explains in King David’s words, we have a propensity towards sin. You have in you a good inclination – an extension of the Divine, which is pure and untainted. That is your essence. You also have a more animalistic inclination which is there to challenge you, to stimulate your appetitive powers and to enable there to be balanced in your life between good and evil so that you can then exercise free choice and make your good actions and right choices meaningful and deserving of reward. Adam had this balance – and a choice to make before eating that fruit. We all have that same choice when confronting our own forbidden fruits in life. Cave to the negative inclinations or tap into your pristine soul and rise above it. Life isn’t about rectifying. It’s about elevating. Looking For a Little Light: Anyone Got a Match? My friend and I are undergoing this journey of religious awareness and renewal. We are looking to embrace new undertakings. In discussion, we’ve agreed one of the hardest things for us is the lighting of Shabbat candles. In the winter months, till we come home from work etc. or even in the summer months when we may be out, it just seems a difficult undertaking. On the other hand, I know this is an especially important ritual for a Jewish woman. Can you shed light (mind the pun) as to its significance? Or should we start somewhere else. There’s a story is of an elderly man who wanted to write over his entire business to one of his three sons in his will. He devised a test to determine the most capable and insisted that whoever could fill his empty office as best as possible would be his heir. The first son piled shovels full of dirt filling the entire room with sand. However, the father demonstrated that regardless of much sand there was, it was still possible to pour water into the sand within the room. The second son filled the room top to bottom with feathers. The father again demonstrated that it was possible to push some feathers down, thus creating little pockets of space. The third son simply took his father by the arm one night into the room and proceeded to strike a match, filling the entire room with light. He got the business. People fill their homes and their lives with transient things that are but earthly and fluff as feathers but nothing of substance. There’ll always be holes in your life as a result. But when filling it with spiritual light, as symbolised by the Shabbat candles which makes the Jewish home radiate with light, this impacts on every dimension of one’s life. Those candles remind you of what’s really important in life. The candles must be lit at the right time otherwise the performance of the mitzvah is contradictory. Do it once then do it again. Once you get into the habit, life will never be the same – guaranteed! There is a Talmudic dictum to be happy in the month of Adar. Now that there are two Adars this year as it is a Jewish leap year, does that rule apply to both months? There is a principle in Jewish law of something non-kosher being annulled in a kosher mixture of sixty times the same substance (in Hebrew “bitul beshishim”). The Lubavitcher Rebbe once observed that the Talmudic dictum makes no distinction between one Adar and the other. It’s a general statement. Which means this year we have the added impetus to be extra happy for sixty days. And if we can maintain that happiness for the sixty days, then anything negative in our lives can be readily annulled in that happy mixture as per the above principle. So, don’t worry – be happy! 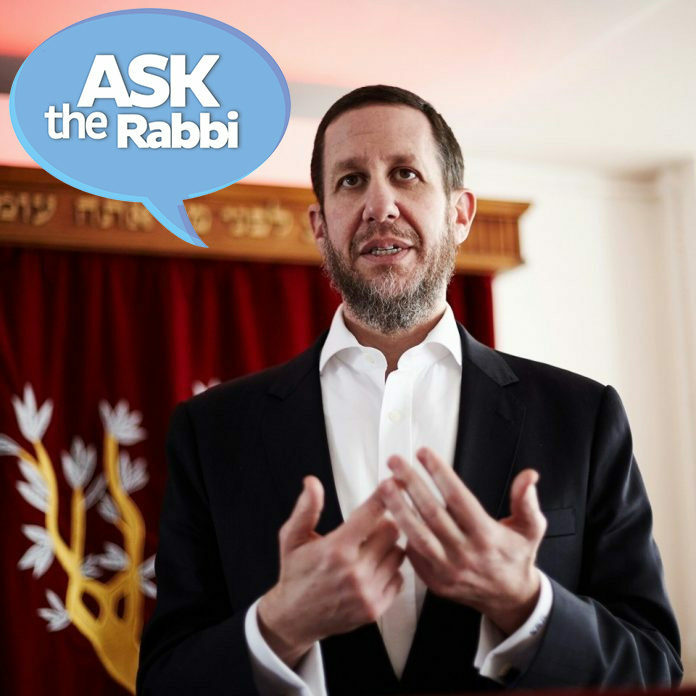 Next articleChief Rabbi Goldschmidt hosts a panel discussion ‘Should Jews stay or leave?